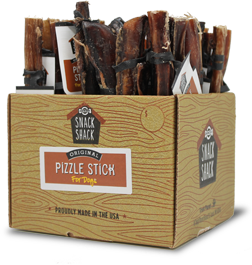 Cosmo's Snack Shack – treats for dogs on-the-go! Pets have become extensions of our families so we want to take them with us wherever we go. Today, over 40% of Americans are traveling with their pets on a regular basis. 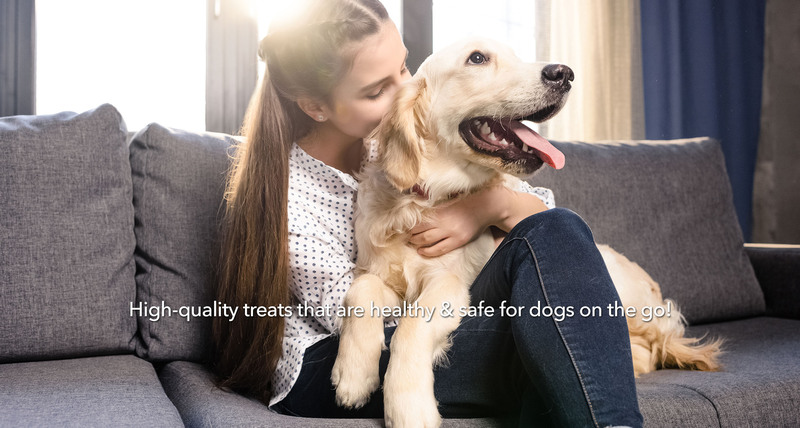 Cosmo’s Snack Shack™ provides reliable, high-quality treats that are healthy and safe for these on-the-go pets. 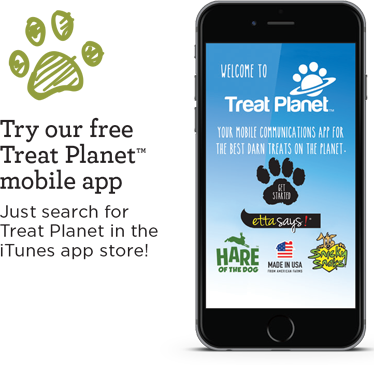 All of our treats are 100% natural, and they are made and sourced in the USA. 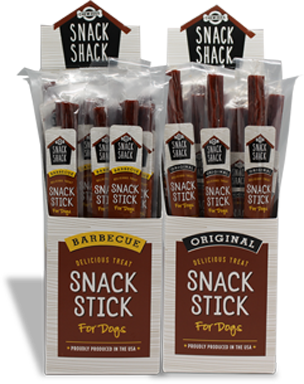 Cosmo’s Snack Shack™ has the widest selection of treats available for the convenience market including crunchy chews, soft moist meat sticks, baked snacks and smoked bones that are sure to satisfy any dog, big or little, at affordable prices. 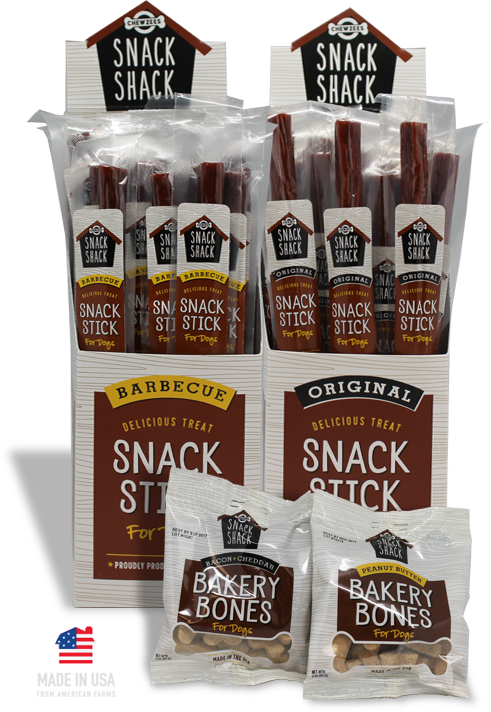 Real meat treats are sure to be a crowd pleaser for any dog. 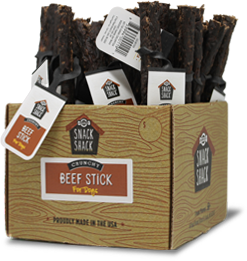 Cosmo’s Snack Sticks are made with nothing but the very best ingredients that your dog is sure to love. Cosmo’s Original Beef and Rabbit Sticks and Crunch Bars are made with a proprietary manufacturing process from USA sourced rawhide and a unique premium protein. These chews are crunchy for teeth, but easier to digest then traditional rawhide. Cosmo’s Peanut Butter and Cheese & Bacon Bakery Bones are corn and soy free. 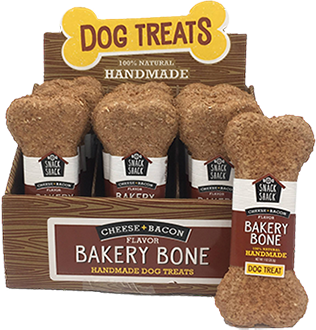 In a convenient 1oz Bone, they are great for training or dogs on the go!